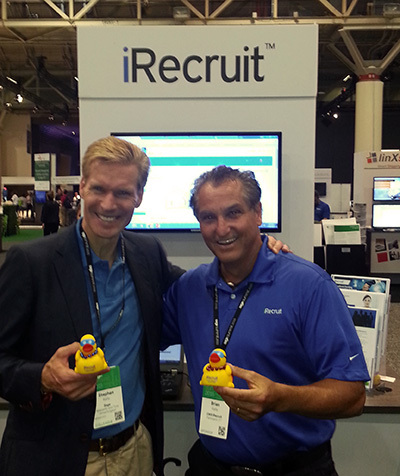 Brian Kelly and Stephen Kelly at Sage Summit. This year’s Summit will be held at the Georgia World Congress Center, Atlanta, GA, May 9th – 11th 2017. Last year’s event featured entrepreneurs Richard Branson, Gwyneth Paltrow and Zooey Deschannel. In adition to inspiring keynote speakers, Sage Summit features learning tracks and breakout sessions for Human Resources leaders. Visit CMS’s Brian at our booth #106. If you’re thinking of visiting, now’s the perfect time to take advantage of the early bird special $199 per person. The $199 per person rate is available through May 1st, 2017. CMS has been a regular participant and vendor at Sage Summit. We hope to see you there! Click here to register or find out more about Sage Summit 2017. This entry was posted in Events, news and tagged sage summit. Bookmark the permalink.